Why is Paradox NZ’s favourite? Because their security products have superior capabilities that allow users to protect their people and property anytime, anywhere, right from their smartphone. Paradox Alarms is a Canadian company that has been protecting people and property for over 25 years. They consistently rank in the top 10 security product manufacturers worldwide, and are heavily focused on product innovation and development in the security, access control, and automation industries. 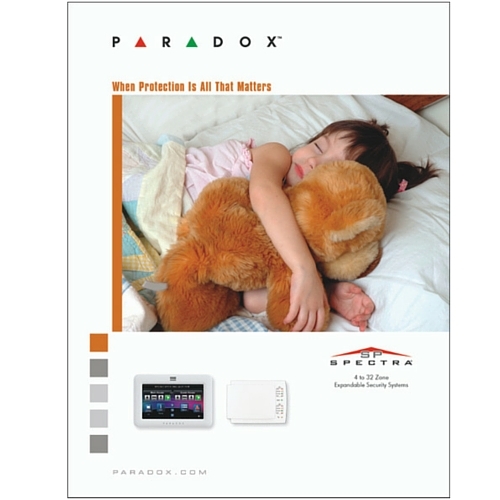 Paradox Alarms support a huge range of wireless devices, such as wireless alarm sirens and even wireless keypads for use where wiring is impossible. From outdoor and pet-friendly digital motion detectors, to analogue motion detectors, the Paradox series of motion detectors combines advanced features and patented technologies to provide a high level of detection and false alarm prevention. Asset protector sensor that works via a three-axis (X, Y, and Z axis) accelerometer detection. It is important to discuss with us your access control and security requirements. We will ensure your Paradox Alarms and Security Products are going to perform as required.